While the big cap markets moved sideways the Russell 2000 gained almost 1%. 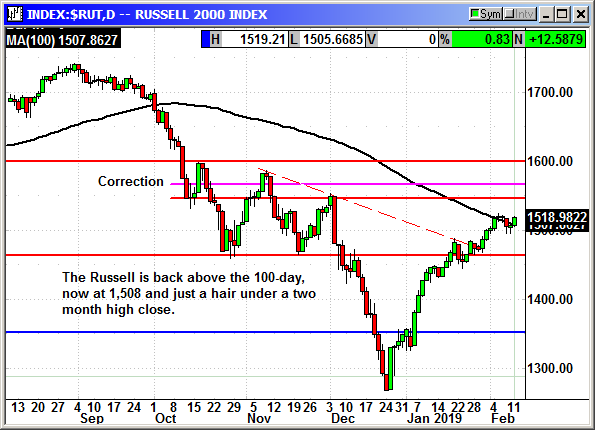 The 12-point gain on the Russell put it back above the 100-day at 1,508 and completed a rebound from round number support at 1,500. The index is only about a point from a new two-month high close. This was a good day because rising small caps in a mixed market normally means fund managers are not worried about a future decline.